Heating of nanomaterials may be activated by near-infrared (NIR) mediated by metallic nanoparticles (gold, silver, copper) or even semiconducting carbon nanotubes. LASER Accessory allows to carry out synergic remotely nanomaterials activation considering both magnetic and plasmonic properties, using simultaneously an alternating magnetic field (AFM) and the photo thermal therapy. Image 1. 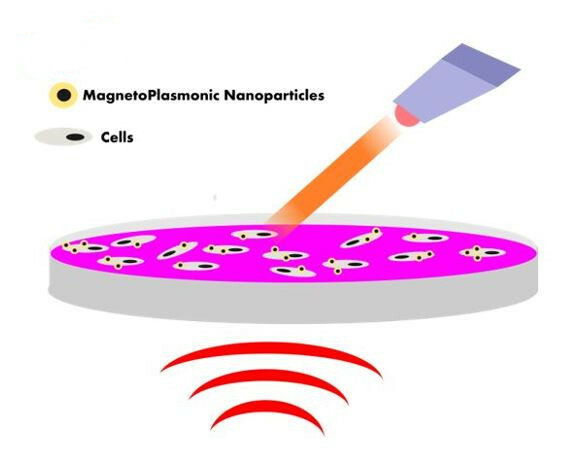 Scheme showing the combination of both nano-magnetic and nano-photothermal therapies using magneto-plasmonic nanoparticles as nanoheaters. D5 Series allows combining LASER Accessory with the Planar CoilSet and the Controlled Atmosphere and Temperature Accessory (CAT) for both magnetic and laser heating on cell culture experiments. The customized CAT includes a regulated tube to introduce the laser fiber probe inside the thermal chamber where the sample is located and regulate its distance. CAT allows to work with cell culture experiments monitoring the sample’s temperature. It provides an internal chamber to add thermalization water bath and measure temperature by high precision fiber optic probe. Adequate laser fiber probe is provided, without any metallic parts, to use safely simultaneously with alternating magnetic field (AMF) application. Possibility of carrying out both therapies at the same time, magnetic and photothermal therapy, or each one of them separately. The size of the CAT Accessory allows to work with different models and sizes of Petri dishes. 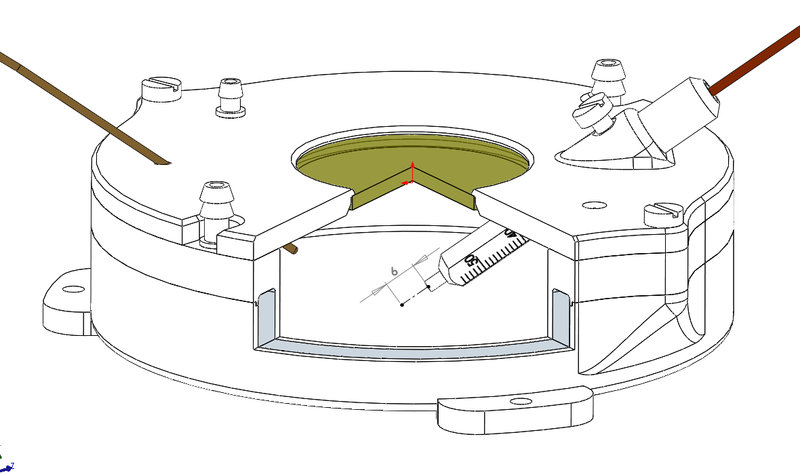 Regulated tube allows to fix the distance of the laser with respect to the sample inside the CAT for a precise application. Laser software also allows choosing the power used. 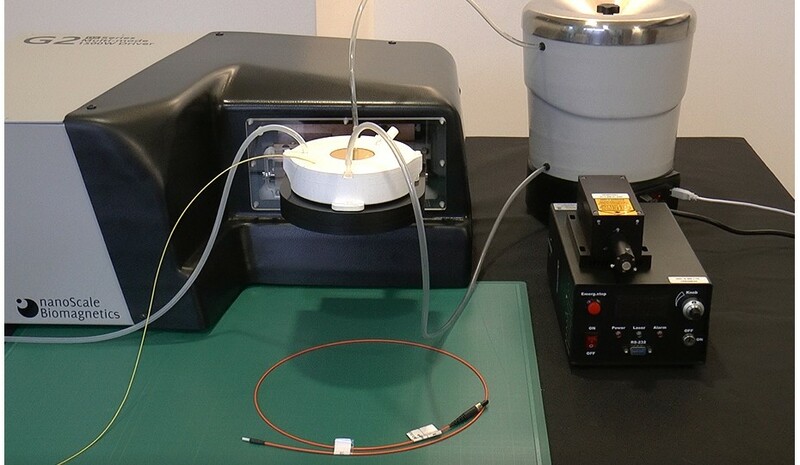 INTERESTED IN DUAL MAGNETIC AND PHOTOTHERMAL THERAPY?